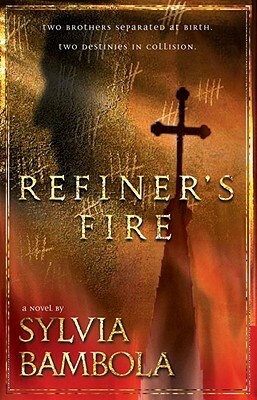 A thriller steeped in European culture like The Salzburg Connection, Refiner's Fire serves up serious suspense to avid fiction readers. This book's "secret underground society" is not Nazi war criminals, however-it's the persecuted Christian church. Yuri and Alexander Deyneko, separated as teens in postwar times, are reunited thirty-five years later in 1980s Bucharest. Now on separate sides of Nicolae Ceausescu's Iron Curtain, the secret life of one brother, a top army official and clandestine Christian, and the ambition of the other- now the American Ambassador to Romania-puts them on a collision course with each other. Fates hang on an issue of conscience. Great writing propels readers through the plot toward a gripping climax. Sylvia Bambola received the Silver Angel Award for Refiner's Fire, as well as the Small Press Editor's Choice Award for her first novel, A Vessel of Honor (published under the pen name Margaret Miller). A resident of New York, she is a frequent speaker at Christian women's events. Sylvia and her husband have two grown children.